NOW UPDATED FOR 2018: Follow this link to view the updated 2018 PA School Tuition Comparison Table or use my brand new 14 variable Perfect PA Program Picker! 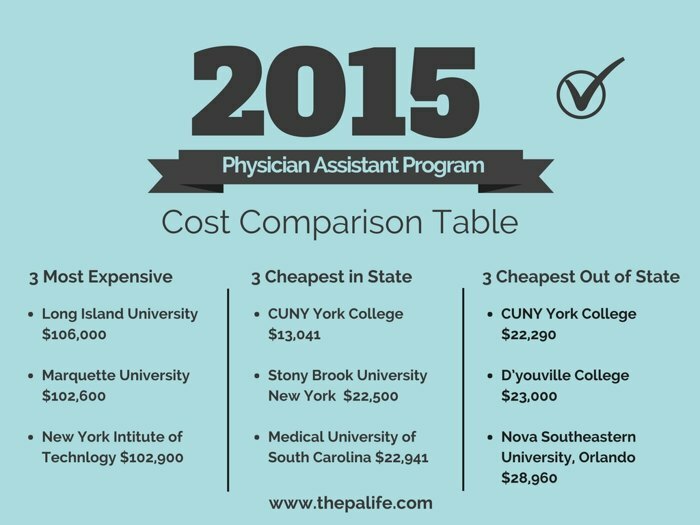 Updated 2015 Physician Assistant Program tuition and cost comparison table. Tuition and cost data for resident and nonresident tuition including length/duration of the PA program. 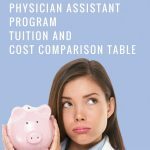 *For a more detailed breakdown of public vs. private program cost and fees please refer to How much does it cost to go to Physician Assistant School. 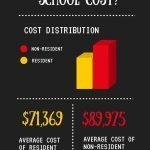 Keep in mind that these are estimated costs and variables such as tuition and fees will vary greatly from year to year. Make sure to visit the appropriate PA program website for the most up-to-date tuition, estimated costs, and fees. You can find detailed information on each school as well as links to its corresponding website on my companion website at www.paschoolfinder.com. This table has been updated to reflect the most relevant 2017 PA School Program Tuition Data. * length pertains to graduating in normal time. If you found this table useful please share it with everyone you know :-). If you would like more info, updates from the blog and occasional free goodies please make sure to sign up for my email newsletter using the opt-in form below. 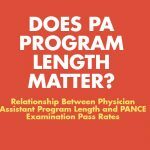 After reading quite a number of questions about acceptance into PA programs a prevailing theme emerged. Many physicians stated that their interest in becoming PAs stems from dissatisfaction with the hours or volume of patients they are seeing in their own practices in their native countries. My suggestion is that you make a very honest, soul-searching assessment of what it is you are actually seeking. 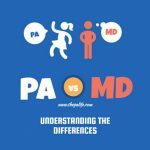 If you have a prevailing feeling that your MD is a superior credential and that you will be functioning as an “MD Surrogate” in the US, then perhaps you don’t fully understand the concept of a PA/Supervising MD team. Every good PA knows very well our limits in scope of practice which have served us and our physician mentors very well for over 40 years. BUT WE AREN’T,AND NEVER WILL BE PHYSICIANS. 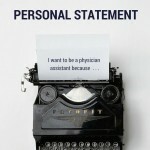 Nor will you if you practice as a PA within your scope of practice. You may also want to investigate why you believe that coming to the United States to become a PA will insure that your hours will be regular, predictable and better than what you have now. Your hours will depend completely on the medical practice or hospital which hires you. 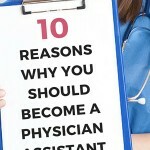 But expecting that as a PA you will have it easier than you have it as an MD may be a false expectation. Many PAs work very long, grueling hours in ERs, Critical Care, Hospitals, Public Health Facilities, Family Health Care Community Clinics and countless other fields in addition to volunteer work on their own time. 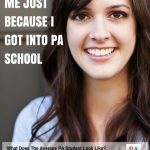 The person who inquired about coming to a US PA program because PAs in Canada are still new and not well respected might do well to step back for perspective. 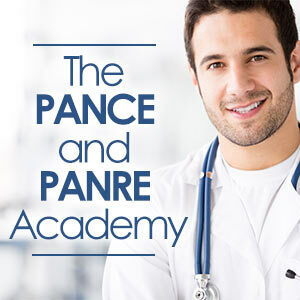 PAs in the US are the single most serially tested group of medical providers in the world. We are currently changing a decades old requirement for national board certification exams every six years to maintain our treasured “C” on our credential, indicating board certification. But if you look closely at the environment which mandated our test schedule it reveals that we have been regularly asked to “prove” our knowledge, skills and trustworthiness for those same decades. 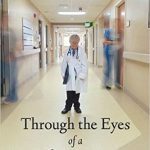 Each of us went through some version of facing the “newness” question about what is a PA and scrutiny and occasional rejection by physicians, nurses and patients. And most of us will tell you the struggle to prove ourselves is hard. And at one time it may have been necessary. 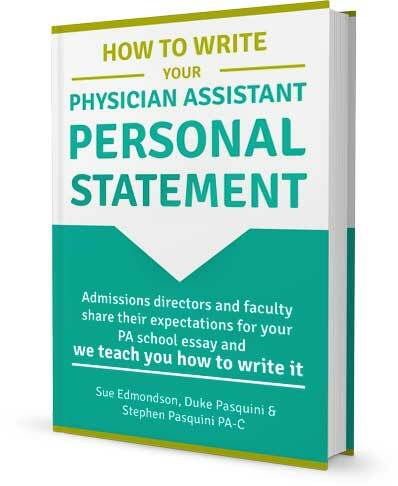 But now, for most situations, when you join a medical practice, your patients already know what a PA is and how we function with their physicians. In Canada, your PA profession, though in comparative infancy to the US, needs great people to choose it, build its competence and support its growth rather than abandon it and go to already proven territory. If you believe in rigorous academic and clinical training then wouldn’t you want to be in the vanguard in Canada demanding that rigor? I treasure my life and work as a PA in California and Florida. Anyone fortunate enough to come here as an immigrant looking for opportunity to serve in the medical corps is warmly welcomed and will be honored by our ranks. But when you choose this path make sure you are seeing the good with the challenging,and accepting that part of being in medical care every place in the world demands a near total commitment of time and the humility to be comfortable caring for impoverished people, people of every cultural and ethnic background, just as you are doing wherever you currently live. Your challenges are the same as ours in that regard. The United States PA programs are unparalled in preparing a work force to address the overwhelming problem of inadequate access to health care. But we may not be a panacea for overworked, over-scheduled and feeling unappreciated, at times. Stephen, I wanted to give an update of one specific school; university of Northwestern’s YEARLY cost (strictly for tuition, disregarding boarding, books, equipment, ect.) is $43,143, for a total of $86,000+ just in tuition, opposed to the $43,309 tuition cost listed. What is the criteria/manner of which you are compiling the tuition information? I may be missing some important factors. —Also, I understand this list is for 2015, but I assume the tuition for a school, such as Northwestern, would not have coincidentally doubled in a years time? This is the most accurate list I’ve seen! There lot of lists online that either contain information that is too old to still be relevant or are lazily inaccurate. Keep up the good work! Us Pre-PAs highly appreciate it! Its funny you say that, because I have just been updating this table over the last month along with my paschoolfinder.com website. I am up to Red Rock Community college so I am almost all the way to the end of the list 🙂 Thank you so much for the words of encouragement now I have the energy I need to get the job done!!! Did you update the list with the most recent information? I personally have a question about my overall GPA from undergraduate school. Assuming that a pre-pa student has a good science GPA but an awful undergrad GPA, what should s/he do? Would a postdoc be a better alternative or going back to my undergraduate to fulfill more courses? Undergrad belongs to the UC sister school. Hey Stephen, may I ask if the tuition prices listed are for the full completion of the program or is the tuition price listed as a yearly price? I’d appreciate your response, thank you. 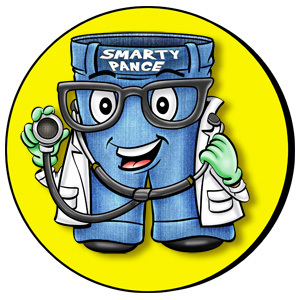 FRIENDS I AM A PHYSICIAN WITH HUGE CLINICAL EXPERIENCE, CANT GO FOR USMLE DUE TO HUGE GAP. BUT I AM LOOKING FOR P.A PROGRAM AND WANT TO KNOW FROM YOU FRIENDS WHERE CAN I GET P.A PROGRAM IN UNITED STATES WITH LEAST EXPENSE. MY ISSUE IS FINANCIAL LIMITATION. Thanks Stephen. ..For sharing such a wonderful knowledge about this PA program ….I have done MD medicine Here from Indian medical college. …..but I m not satisfied with work culture and structure here in india… ……….as a specialist we work for 24 ×7…..but earning is less … so i want to join PA program in US and want to settle there… …how hard is it to prove your intention to Bcom PA after acquiring MD……to the visa officer…………do they like us to study and settle in USA .Bcoz I want fixed duty hours at the same time good salary ……..and exposure to all branches of medicine and surgery. …. 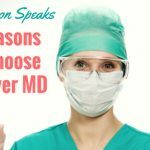 I have been receiving a lot of emails recently from MDs in India, so I can tell you are not alone in your feelings. The best thing to do is research some of the PA schools within the vicinity of where you will be living in the US and speak with them directly. Explain your experience and background and discuss what you would need to do to make a successful transition into a US PA school. Part of this is making sure all your prerequisite coursework transfers… Obviously you have enough medical experience. Some schools require you to pass certain exams such as the GRE and TOEFL regardless of your experience and training. So it is best to speak with a school representative or guidance counselor. Every school is different as well so I would be afraid to make a blanket statement and lead you astray. The PA profession is wonderful and we certainly need compassionate internationally trained medical practitioners to join our ranks!! 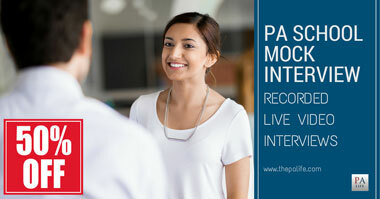 Hi Stephen, I am a dentist from India, am I eligible for the PA program in US ? According to WES ,my graduation is equivalent to a professional degree in US. I would be extremely thankful to know whether Denntists could become PA. 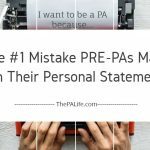 Yes, anybody can become a PA in the United States as long as you have completed all the necessary prerequisites required by the school to where you are applying. 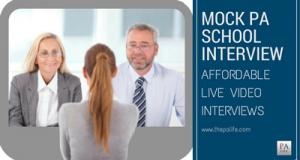 You will have to make sure that all your credits transfer and that the schools to where you are applying do indeed accept international students. Some require you to take the TOEFL. The best thing to do is to do some research and reach out to several of the schools you are interested in and contact them directly. You can use my school search tool at http://www.paschoolfinder.com to find schools that accept international students that also fit your geographical preferences. Cross reference this with the PAEA PA school directory. You will also need to have shadowing experience and a solid understanding of the PA profession and our role in medical practice in the US. I am a Canadian Citizen looking to apply to US PA school. Does non-resident fees apply to international student like canadians ? or is there a separate data on International fees ? I could not find any information regarding international fees. Can you please help me with that ? This is a good question. I would suggest picking up the phone and contacting a few of the PA programs you are interested in. They will be able to give you a breakdown of cost and fees as an international applicant. This may vary from program to program as well. Thank you for creating this site! It’s been helpful in my research on PA programs. King’s college Wilkes-Barre PA has made some unbelievable changes and their facilities are truly outstanding. 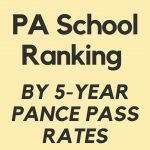 Can you advise if their program ranks well and what to look for in selecting a PA school? To be completely honest, When I applied my most important determining factor was if I received an acceptance letter. Options are often reserved for those lucky enough to receive multiple acceptance letters. So if you are interested in a school apply, after you interview and meet the faculty you will have a pretty good feel for the program and the fit. 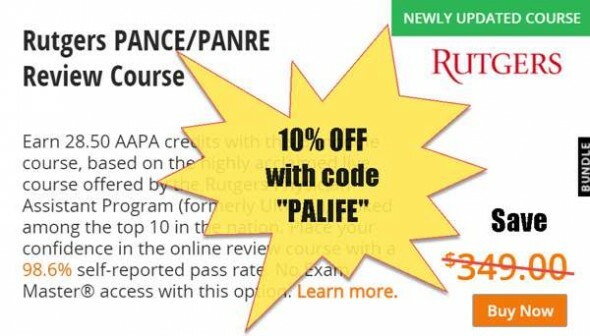 Of course you will want to make sure a program has a good accreditation status – then you can weigh all the options – class size, location, cost, rotation opportunities, ranking, PANCE pass rates, student testimonials, etc. etc. 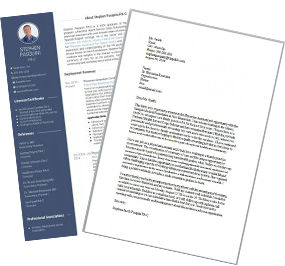 But what often dictates your initial application decisions has less to do with all of this and more to do with prerequisite, GRE, and HCE requirements. Just so everyone has the updated info, Nova Orlando’s tuition is $69,000 and some change for instate and out of state because it is a private college. Should be listed correctly on their website. The amount you have listed was the 2015 cost for base tuition for 1 year and also did not include the numerous charges main campus imposes. Thanks so much for the info, I have updated it on the chart as well. Are these values for just tuition (excluding other costs of schooling/living) and do they represent the tuition cost PER year or for the entire 2-3 year program? Thanks! Great site! I really appreciate the effort you put in to help prospecting PAs! I was wondering if you happen to know about any form of financial assistance that’s accessible to international students? As well as which schools would be the best for that? I’m from Canada and, though we do have a few PA programs with a much more reasonable tuition, I don’t find them as advanced as the ones in the States let alone the lack of international recognition that comes with it. On top of that, PAs haven’t been introduced into Canada too long ago and have yet to be recognized and accepted in the health care field which results to low job prospects compared to the US. I just want to make sure that I’m equipped with the best and able to perform my best upon (future) graduation (hopefully)! Unfortunately there are many inaccuracies with this chart. I have an interview at the Medical University of South Carolina and for in-state students the cost of the first year alone is $25, 653 with the total being $59,653, not a total of $22,941, although I wish that were the case! Just from glancing, South University is incorrect as well. Many PA schools intentionally obscure the tuition data on their website. Because of this, I am in the process of creating an annual questionnaire that will hopefully improve the accuracy of the data here and on my PA School Finder website. Thank you for giving me the updated numbers for Medical University. I hope that anyone who reads this post and sees an inaccuracy will leave a comment like yours, this will help ensure that the data here is as accurate and as up to date as possible. Thanks so much for all of your great posts and for compiling this list! 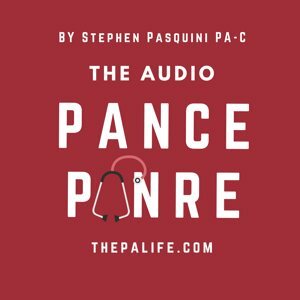 I’m pre-PA and I’ve found your website incredibly helpful over the course of the last year. Unfortunately, it seems like PA programs are raising their costs so quickly that it’s hard to even keep track – for instance, I started looking into programs last year and was planning to apply to Stonybrook, since it’s such a great program and one of the cheaper ones out there. I just visited Stonybrook’s website to double-check their current costs and by my calculations, out-of-state tuition now comes to $79,220. 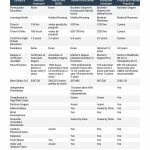 I used this website (http://healthtechnology.stonybrookmedicine.edu/programs/pa/elpa/admissions/financial) and their “Detailed and Per-Credit Rate Tables” for Physician Assistant, and added up tuition-only costs for 4 semesters full-time enrollment, plus 1 summer of 7 credits and 1 summer of 11 credits. Ouch. Other schools have gone up, too – for instance, Lock Haven is now ~$73K. Are there ANY affordable programs out there anymore? It doesn’t feel like it. Especially for those of us who live in states that lack schools offering in-state tuition. I am struggling to find any strong-looking programs in the Northeast (I currently live in MA) under $70K, and that’s before factoring in student fees, health insurance or housing. The costs seem overwhelming! I’m aware of the NHSC scholarships/loan repayment program, but those seem tough to count on getting. Open to any advice or tips anyone might have. Thanks again for your wonderful website! You are absolutely right, tuition has tripled since I attended PA school and I feel like many schools are capitalizing on the increase demand. Unfortunately, it looks like interest rates on loans are about to go up as well. Can a person ever just get a break? 🙂 I was a NHSC scholarship recipient and since 2001 when I was awarded my scholarship they have actually made loan repayment more accessible to the masses (although the scholarship less so). This is an excellent option in my opinion and it is one that is underutilized. Also, PAs can qualify for loan forgiveness after 10 years, I mentioned that briefly here in a recent post regarding loan repayment. That article also has a list of options for repayment including links to scholarship programs that will be of some help. It is also good that you are shopping around. 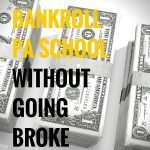 If you are willing to move for PA school it can be a great financial decision as well. The silver lining is that Physician Assistant pay has also gone up significantly since I graduated and this is making loan repayment much more manageable. 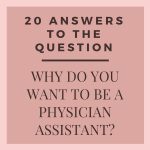 Unfortunately, this has also resulted in PAs leaving primary care in favor of specialty practice which usually pays better, a sad consequence in my opinion. I really appreciate all the time and effort you are putting into this website. 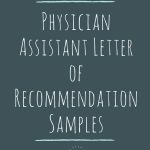 I would like to know your opinion with something.. What are the possibilities to get a job with a bachelor in physician assistant vs having a masters. I’m still working on my biology major so I cannot make up my mind if going for the bachelor or for the masters. Thank you very much! The sponsoring institution determines what credential will be awarded, but it is the medical board of each state that determines what constitutes eligibility for licensure to practice as a physician assistant. Currently, forty out of the fifty states did not mandate a specific credential requirement for licensure Ten states have laws with degree requirement specifications. Seven states (Arkansas, Connecticut, Idaho, Maryland, Massachusetts, Pennsylvania, and West Virginia) have laws requiring a Baccalaureate degree to be eligible for licensure, two states (Mississippi and Ohio) have laws requiring a Master’s degree in a health related field, and one state (Missouri) has a law requiring a Master’s degree earned specifically from a PA program. Other than this, if you hold the appropriate license for your state your degree type will make little to no difference when it comes time to job hunt. Employers have never asked me this question and to be honest, most probably aren’t even aware of the difference. They are focusing on “does she/he meet the requirements?” “Are you a good fit for the organization?” “Do you have experience within the job description”? etc. etc. 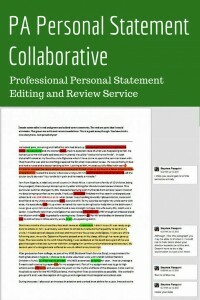 Effective September 1, 2010, all new programs applying for provisional accreditation were required to confer a graduate degree. All programs accredited prior to 2013 that did not confer a graduate degree must transition to awarding a graduate degree for students who matriculate after 2020. A “graduate” degree means master’s and/or doctoral degrees. So your chances are good that the schools you are applying to will confer a graduate degree. After completed m.b.b.s in India I will apply to PA course? And what are requirements? And what availability for job in non-us student!!?? You have to complete all the prerequisite coursework for the schools to which you are applying and gain the necessary health care experience (among all the other requirements). There are jobs for non-US residents as long as you have an appropriate Visa. Are these figures per year or for the full cost of the programs? Most of these are the full cost of the program, but you need to confirm this with the PA program directly as these figures are tabulated from the online directory as well as the program websites and in my experience, it is not uncommon that they have them listed incorrectly. It is like shopping for apples at the grocery store. Although you are comparing apples to apples there will always be a huge variation in prices. The question is: do you want a Granny Smith, a Red Delicious or do you prefer a Fuji? Is Butler off? It’s mentioned as being $88,744. It could be, it is listed as $36,000 on the PAEA Program Directory website. I tried to find a 2015 figure on the Butler website but I was hard-pressed to find a concrete number. Where did you get your figure? I will happily update it if this is the correct tuition. Little bit of a hike from 22 and 36K. Yes Sydny that is too bad, they completely ruined my graphic :-). That being said, I guess it is still a pretty good deal even at 36K. Oh my gosh, yes. Especially compared to Marquette. Now I understand why their recruiters are so persistent!